This is not a drill – a truly interactive 1:1 experience IN the inbox is now a very real possibility. 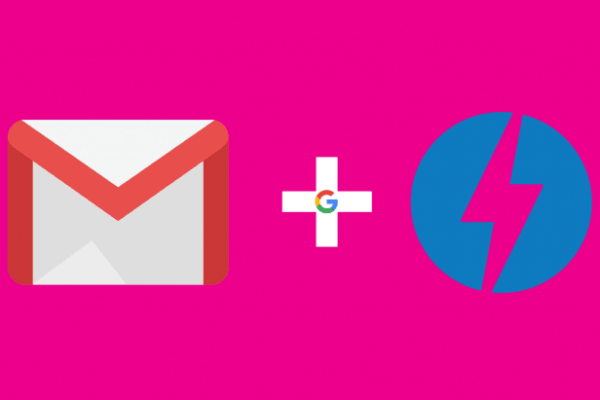 First announced in early 2018, Google officially rolled out AMP for email this week on March 26th. Quite literally, it’s Accelerated Mobile Pages which, according to Wikipedia “…is an open-source publishing technology designed to improve the performance of web content and advertisements.” Applied to email it essentially brings the power of web experiences directly into the inbox, turning each email into a mini-app of sorts. Google says it best: “AMP for Email allows senders to include AMP components inside rich engaging emails, making modern app functionality available within email.” Leveraging the functionality that has powered AMP mobile for years, email marketers now have the opportunity to go beyond just providing the right message at the right time – we can now offer our subscribers the ability to do something about it, immediately and right in the inbox. Email continues to be a crucial and impactful marketing tool for all shapes and sizes of businesses. But, it has by-and-large been static in that while the content itself may be unique and differentiated or refreshed at time of open, interacting with it in a meaningful way required subscribers to click out of the inbox and complete the engagement on a website or app. AMP for email changes that. This is where we geek out. The great thing about AMP is that it’s open source and has been available on the web for years, which means support and documentation are widespread. We talked about the idea that unique content at the individual level is possible today, but it currently requires coding for all scenarios. This means very linear experiences can’t deviate due to code requirements. AMP makes it possible to code for non-linear experiences. This possibility comes with its own set of development requirements, but with that increased dev input comes, in theory, increases in subscriber output (aka: money). Additionally, there are steps you must take to use AMP for Email, including registering with Google, as outlined on Google’s developer site. AMP for email is only available on desktop for now and not currently supported for users who are accessing Gmail from other mail apps, though mobile support is coming soon. That being said, AMP will reportedly be supported by other mail clients like Yahoo!, Outlook and Mail.Ru. As with most interactive inbox elements, thorough QA will be necessary and fall-back versions for those lacking support will still be required to ensure an optimal experience for all subscribers. Another piece in the AMP puzzle is ESP support; not only does the inbox have to support it, the sending ESP has to support the AMP-specific MIME type (text-x-amphtml) as well. As of publication time, there are ESP platforms already on board including SparkPost, SendGrid and Amazon SES and Amazon Pinpoint, with others sure to follow suit in short order. Just months after the original announcement from Google last year, thought leaders took the stage at BrightWave’s 2018 EiQ conference to talk about what this could mean for the email channel. Living in a “what if” world, exciting and innovative ideas were shared for how this technology could improve the subscriber experience. AMP for Email allows you to follow-through on things you normally may abandon because clicking through an email and completing these tasks in another browser tab is, well, annoying. Listen, the email channel is no stranger to new technology and it’s been changing (often at the hands of Google’s whims which is a real issue for the future) for years. Early adoption of any new technology always comes with risks – marketers think it’s cool but do subscribers really notice or care? Often the answer is, eh, maybe not. But this is perhaps the first time that marketers and subscribers are aligned – they want a seamless experience and we’re poised to deliver just that. 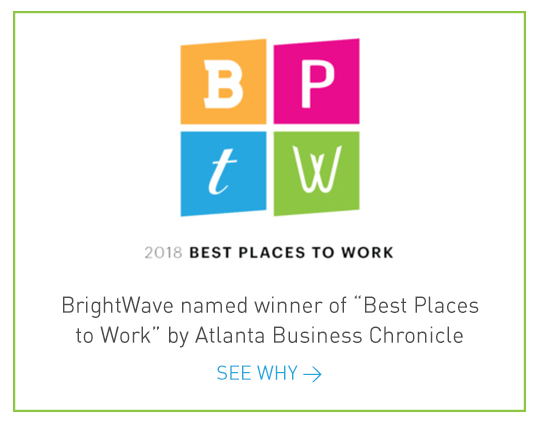 I couldn’t ask for a better strategic partner than BrightWave. Open rates are up. Click-through rates are up. Our emails look better than ever. And, for the first time, we have an email marketing calendar that aligns with our other initiatives.